Brendan completed his Human Movement degree with Honors in 1996 and has over 18 years experience in personal training and sports specific conditioning. Brendan is the director of Inspire Fitness, established in 2001 to provide a high level of expertise and service in personal training and exercise conditioning, and has built Inspire into the success it is today. Brendan has a passion for working and motivating individuals of all walks of life to achieve a higher sense of health and wellbeing. 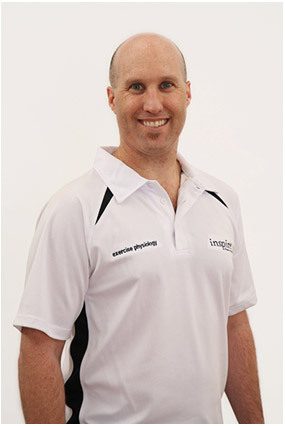 Having worked with elite junior development squads at Tennis Victoria in 2005 and 2006, Brendan brings his expertise and enthusiasm into tailoring individual exercise plans into all his training sessions. Bach Ex Sci, MastersExSc (Exercise Prescription). Rory is an Accredited Exercise Physiologist who has a passion for providing safe and effective exercise and lifestyle programs for people who require some extra guidance with their health and fitness. 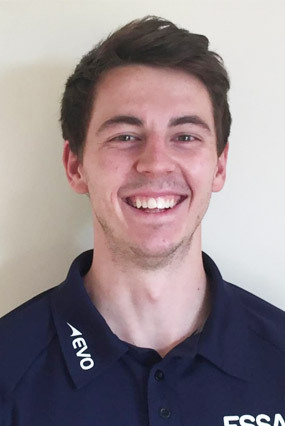 Rory has completed an undergraduate degree in Exercise and Sport Science at Deakin University, majoring in Exercise Physiology and Sports Nutrition. Rory has also completed a Masters degree in Applied Exercise Science (Exercise Prescription), with a focus on exercise for rehabilitation. During his tertiary studies, Rory gained experience in a wide variety of clinical settings including the Royal Talbot Rehabilitation Science Research Centre, where he was part of a team designing and implementing research programs for a variety of conditions including stroke. Rory also gained valuable experience working at the Doncaster Rehabilitation Service, which required him to take group exercise classes and work with individuals with advanced heart disease, diabetes, and stroke. Rory gained experience in a clinical pilates studio specialising in musculoskeletal rehabilitation, and has also worked with people keen on improving their general fitness. 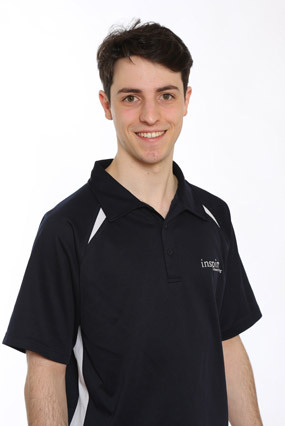 In 2011 Rory helped setup the Exercise Physiology Services at Inspire Fitness which has close links with many GPs and other allied health professionals in the local area. The aim of the Exercise Physiology Service at Inspire Fitness is to provide safe and effective exercise for people who may require extra attention with their training as well as providing expert guidance in the area of health and fitness. Rory maintains close contact with referring GPs and allied health professionals to keep them up to date with the progress of their patients and offers long-term management strategies for them to keep exercising. Rory enjoys working with a wide variety of people and is committed to helping them achieve their goals. 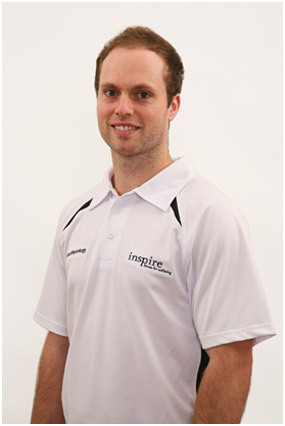 Jack commenced working with Inspire Fitness in 2014 having completed a postgraduate Masters of Clinical Exercise Physiology at ACU. During his undergraduate studies; a Bachelor of Human Movement/ Exercise Science; and during his Masters he strengthened his passion in the field of exercise science; and his passion for improving the health, strength and movement of individuals coming from a vast array of physical limitations and medical backgrounds. During his Postgraduate studies he gained further valuable experience working within the Austin Repatriation Hospital, Olympic Park Sports Medicine Clinic and Orygen Youth Mental Health Clinical Program. These positions provided Jack with in-depth practical experience related to structured exercise prescription for a host of physical and medical conditions including cardiovascular disease, diabetes, osteoporosis, depression, cancer, arthritis and COPD. Jack has a keen interest in developing, implementing and evaluating programs to increase health and maintain strength across the life span. 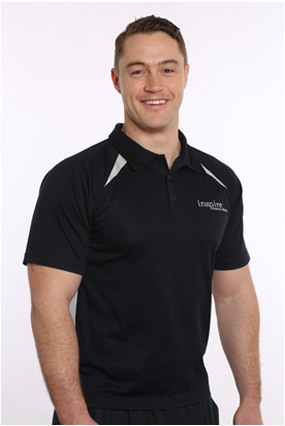 He utilizes his extensive tertiary background combined with his strong practical experience to deliver exercise programs aimed at individuals wanting to lose weight, improve fitness, rehabilitate from an injury and use exercise in the treatment of a medical background. Allan has a deep passion for helping people achieve their maximum functional capacity through the use of exercise as a form of medicine. He completed his undergraduate studies at Deakin university with a double degree in Sports Nutrition and Exercise Physiology. Prior to undertaking his post graduate studies, Allen spent several years living in Canada skiing and snowboarding, ultimately leading to several broken bones and other injuries. It was this experience that motivated him to pursue a career in exercise rehabilitation and develop an understanding of the importance of rehabilitation to return to full function. Allen further strengthened his knowledge and passion for exercise rehabilitation by completing a masters of Clinic Exercise Science and Rehabilitation in 2016. During his studies, Allen worked as an Exercise Scientist and then later on as an Exercise Physiologist in a private practice. Allen uses this past experience to assist his clients to reach their health and wellbeing goals. Allen’s expertise ranges from back, neck, shoulder and knee pain to sporting injuries, weight loss, diabetes management, osteoporosis management and general fitness. Allen takes a holistic approach to health and return from injury, and believes it is important to think of the body as a whole in order to return to optimal function. This ideology underpins and guides the rehabilitation process ensuring that each individual’s exercise program is tailored specifically to their needs, abilities and desired outcomes. Brenton is an Accredited Exercise Physiologist with a passion for helping people live a happier and healthier life through exercise. Brenton has completed an undergraduate Exercise and Sport Science degree, and a Masters in Clinical Exercise Physiology at Deakin University. Brenton’s university studies have given him outstanding knowledge in movement, biomechanics, chronic disease management and musculoskeletal rehabilitation. Brenton’s experience includes working as an Allied Health Assistant, implementing exercise programs for people with neurological conditions such as stroke, traumatic brain injuries and spinal cord injuries. This has given him excellent knowledge and skills in specific neurological rehabilitation strategies. 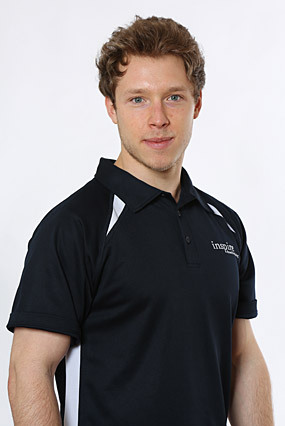 Brenton has also worked extensively as a personal trainer, helping people of all ages achieve their goals. Through this experience, Brenton has developed the ability to tailor exercise programs to a wide variety of individual goals including weight loss, injury rehabilitation, sport performance or general health and fitness. 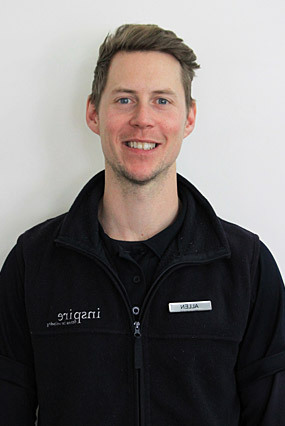 Brenton has experience in the rehabilitation field, undertaking placements at Epworth Hospital and Bendigo Hospital. He has developed an in depth understanding of how to treat and manage a wide range of injuries and chronic conditions including joint replacements, back pain, cardiovascular disease, type 2 diabetes, neurological conditions, musculoskeletal injuries and cancers. Brenton brings a wealth of knowledge and experience to Inspire Fitness, and is eager to put this into practice by empowering clients to achieve their goals. John completed his Bachelor of Exercise and Sport Science at Deakin University in 2015. 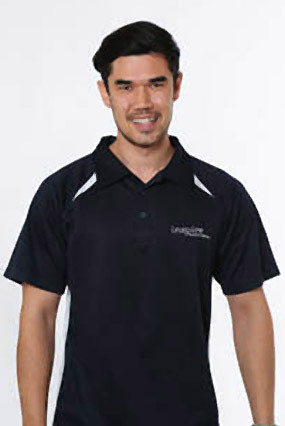 During his studies, John completed a strength and conditioning internship with Rowville Sports Academy, coaching and educating their secondary school student-athletes the importance of structured physical preparation and athletic development. Although John has exceptional experience working with adolescent aged athletes, this has not limited his abilities and enjoyment to work with a large variety of people. As an Accredited Exercise Physiologist Eleni has the knowledge and skills to help people strive for a healthier quality of life through exercise, for the prevention and management of chronic diseases and injuries. Eleni completed a Bachelor of Exercise and Sport Science and Masters in Clinical Exercise Physiology at Deakin University. With a passion in sport, Eleni is also a Level one Strength and Conditioning Coach with the Australian Strength and Conditioning Association. 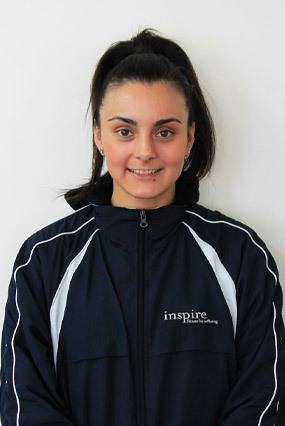 Eleni has had experience as an Exercise Physiologist and Personal Trainer within a gym environment assisting clients of all ages achieve their individual health goals. She has helped clients with weight loss, low back pain, cardiovascular diseases, musculoskeletal injuries, fitness, pre- and post-surgery rehabilitation, functional movement and overall wellbeing. With an interest in AFL, Eleni currently works with a broad range of amateur and elite athletes at Melbourne FC and Knox Falcons FC. Her experience also expands through her internship with Acceleration Melbourne as a performance coach, working with amateur athletes from a variety of sport genres. The programs focus on the fundamentals of movement such as improving movement patterns, running technique, landing mechanics, stability, power and strength. Eleni’s main aim is to produce a safe and effective individualised exercise programs for each of her clients and provide long-term strategies to keep them motivated and active. Accredited Exercise Physiologist and Accredited Exercise Scientist. Since 2011, he has been practicing and developing his skills to assist a diverse range of clients who require assistance with exercise intervention as a way to improve their overall quality of life. Blake completed his Bachelor of Clinical Exercise Science at Victoria University and post-graduate Masters of Clinical Exercise Physiology at ACU. While studying, Blake undertook placement experiences in a variety of settings. Such as The Sport Injury Clinic Frankston,, Monash Acute Hospital Kingston, Spinal Cord Injury Australia and a range of other rehabilitation clinics. Blake has a special interest in chronic disease management, cancer and the role of exercise and disease prevention. However, Blake’s main interest lies within teaching clients how to safely and correctly learn resistance training techniques. In doing so, Blake’s main objectives are to improve client’s posture, strengthen weak and under developed muscle groups – while improving his clients strength and lean muscle mass. Isabella has a passion for helping others live their healthiest and happiest life through exercise prescription. Isabella has completed her Bachelor degree in Exercise and Sport Science in 2017 at Deakin University, and is currently completing the Masters of Clinical Exercise Physiology. 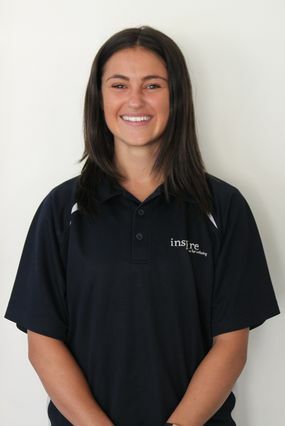 Isabella completed her practicum hours at Inspire Fitness where she was able to build relationships with both the clients and members, as well as learn the skills and importance of corrective exercise and the importance of the biomechanics of the body. Other experience during her postgraduate studies include Ballarat Health Services, gaining knowledge in a variety of areas such as Cancer, stroke, cardiovascular disease, mental health, diabetes and musculoskeletal injuries. Isabella also spent several weeks at the Austin Hospital which specialized in cardiopulmonary rehabilitation. Isabella worked amongst dieticians, cardiologists, nurses and physiotherapists to assist those with cardio or respiratory conditions. Other experience includes assisting with a study at Deakin University, working with woman going through breast cancer and using exercise to help manage side effects and to reduce the risk of future chronic disease. Isabella originally grew up in Ballarat and has a background in dancing which she did for 15 years. She believes that building strength, developing flexibility and having good body awareness and control is vital for more efficient functioning of the body. Isabella loves working and getting to know a variety of people, ensuring the session is engaging and meeting the needs of the client. Isabella engages in a holistic approach and believes strongly in the power of exercise and good nutrition to live a fulfilling life, in the prevention of sickness and injury. Isabella works to provide her clients with individualized exercise programs targeted at reaching their goals. As well as finding strategies to maintain adherence to exercise and a healthy lifestyle, leading to a more positive wellbeing.